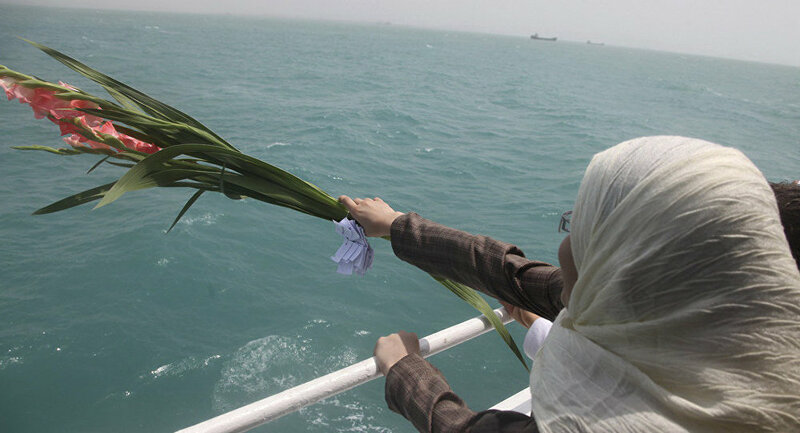 290 people, including 66 children and 16 crew members, died exactly 30 years ago, on July 3, 1988, over the Persian Gulf. That was one of the greatest disasters in the history of global aviation. The cruiser USS Vincennes of the US Navy shot down an Iranian passenger plane Airbus A300B2 with anti-aircraft missiles and killed all occupants of the aircraft. The plane of the airline Iran Air was making flight 655 Tehran-Dubai, with an intermediate landing at the airport of the city of Bandar Abbas, where there was also a base of Iranian military aviation. The aircraft was covering a standard route within the international air corridor. Two anti-aircraft missiles from the Vincennes cruiser reached the Airbus at an altitude of 4,000 meters, breaking the plane in half. None of the nearly 300 passengers on the plane had any chance to survive. 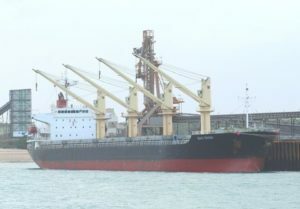 According to the US Government report, the ship’s crew incorrectly identified the civilian Airbus as an F-14 Tomcat fighter aircraft of the Iranian Air Force. The sailors insisted that the aircraft did not respond to the repeated demands to change course, although they ignored that they tried to contact the crew of a civilian aircraft using a military radio frequency. According to Yuri Liamin, a military expert interviewed by Sputnik, Iran and the United States were on the verge of a war at that time. “The situation in the region was very tense, US Navy ships were always ready for combat, the US repeatedly attacked Iranian ships and sank several, in addition to destroying an Iranian oil rig and damaging a military frigate,” he said. In his opinion, the demolition of that civilian plane was deliberate: an act to show Iran that the US was capable of anything to defend its fleet. “It was another act of pressure, and after the catastrophe, large-scale confrontations with the United States were feared in Iran, which largely determined the decision to stop the war with Iraq, since a war on two fronts for Tehran would have been a suicide, “Liamin explained. At that time, the confrontation between the two Islamic countries had been going on for eight years and the human losses reached hundreds of thousands on both sides. Iran and Iraq alternately invaded their enemy’s territory and used chemical weapons or exchanged attacks with missiles. The Vincennes cruise was part of a group of American ships that carried out tasks of protection of the Iraqi commercial and oil convoys. Could it have been a mistake? Of course, it can not be ruled out that the actions of the US military were wrong, given that the situation in the Persian Gulf was very tense. However, according to experts interviewed by Sputnik, an experienced radar operator easily determines what type of aircraft he is observing, even without having complete information about it. “Taking a passenger plane for a combat aircraft is the direct fault of the Americans.” Normally, the operator receives the radio information, where he sees the situation directly. An experienced military man immediately defines the type of object, its height and speed without any doubt “military expert Mikhail Jodarénok, who for many years served in the Russian Air Defense, told Sputnik. In times of peace, he adds, in areas with active movement of civil aircraft, anti-aircraft missile operators tend not to fire at intruders based solely on radar data. First, they send a fighter to make eye contact and understand what the device has in mind. None of this was done, although the Americans had all the necessary means to do so. The US government never acknowledged his guilt for the deaths and none of the sailors was held responsible for the demolition. In addition, the crew of the cruise was awarded for the correct and precise fulfillment of a combat mission. Later, in 1996, the Americans agreed to pay the relatives of the passengers about 62 million dollars as part of an agreement with Iran to withdraw the lawsuit against the US in the International Court of Justice.